Built to Last (1994) examines 18 extraordinary and venerable companies to discover what has made them prosper for decades, in some cases for nearly two centuries. 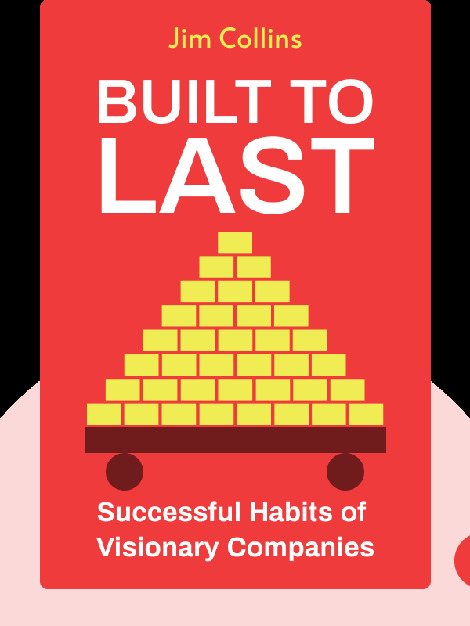 This groundbreaking study reveals the simple but inspiring differences that set these visionary companies apart from their less successful competitors. 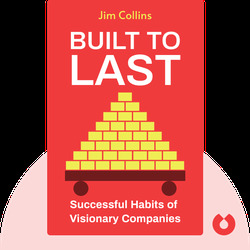 Built to Last is meant for every level of every organization, from CEOs to regular employees, and from Fortune 500 companies to start-ups and charitable foundations. The timeless advice uncovered in this book will help readers discover the importance of adhering to a core ideology while relentlessly stimulating progress. Jim Collins is an American author, lecturer and consultant, who, among other things, has taught at the Stanford University Graduate School of Business and is a frequent contributor to Fortune, Business Week and Harvard Business Review. His other book, Good to Great, has sold over four million copies. Jerry I. Porras is an academic and business analyst. He is the Lane Professor Emeritus of Organizational Behavior and Change at the Stanford University Graduate School of Business. His primary interest lies in finding methods for aligning companies with their core purpose and values.